Please fill out the form below to be entered to win tickets to Kato JAM! 35 winners will receive VIP and other winners will receive Early Access tickets! I have read and agree to the rules above. Thank you for your entry! 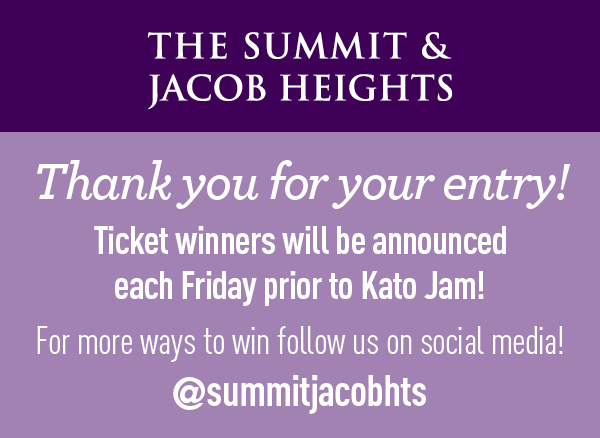 Ticket winners will be announced each Friday prior to Kato Jam! For more ways to win, follow us on social! Stop by or give us a call for more information.